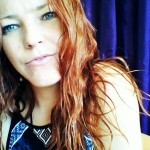 SARAH LOUISE is a nurturing, intuitive, Sexual Healing Enchantress & Sacred Therapeutic Coach. She brings sensuality, integrity, magic, presence and heart to all her clients and sessions. Sarah holds the safest most powerful space for women to tap into her unique medicine and most potent life force energy. Combining powerful coaching, education, sacred Yoni massage, intuitive archetypal readings & energetic healing processes which enable women to delve deeply into a matrix of body, mind, heart and spirit to free her sexuality, emotions and memories from places of fear, shame, guilt, judgement and suppression. And of course increased awareness for more body sensations and awakening to her full capacity for ecstatic pleasure! The work Sarah offers is also deeply informed by profound ancient and esoteric knowledge of the 22 Principles of Consciousness that very few people have access too, her many years as a residential case worker for clients who had experienced severe trauma, abuse and neglect, as well as her ongoing dedicated journeying in Tantra and Shamanic Healing. Sarah’s sessions are offered from her beautiful, sacred healing sanctuary where you will have access to a private client unsuit with shower, luxurious towels and organic products. Body strong, heart open, mind clear, spirit free.